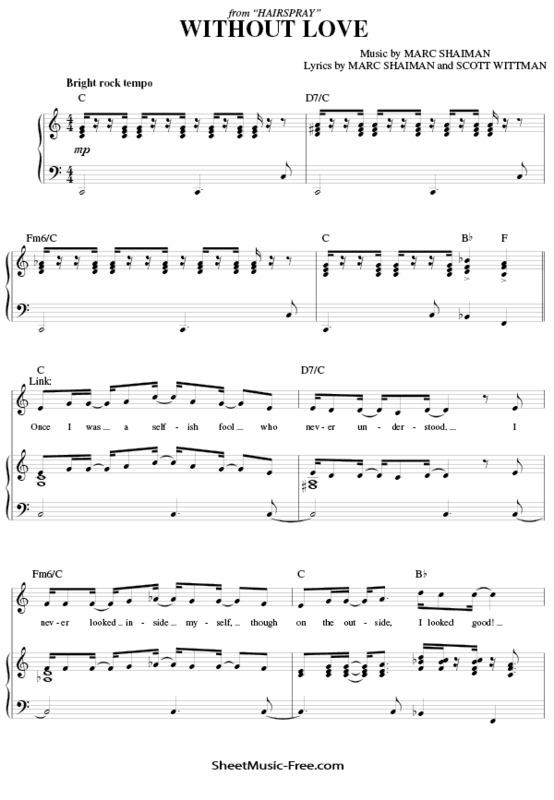 “Without Love Sheet Music” from Hairspray (Musical), “ Without Love Sheet Music” for Piano / Vocal/ Chords , Original key: C Major, number of pages sheet music PDF: 13, Video and Lyrics song Without Love Sheet Music. “Without Love’” is a song from the musical Hairspray. It is a quartet song performed by Tracy, Link, Penny, and Seaweed. Without Love Sheet Music Hairspray (Musical).